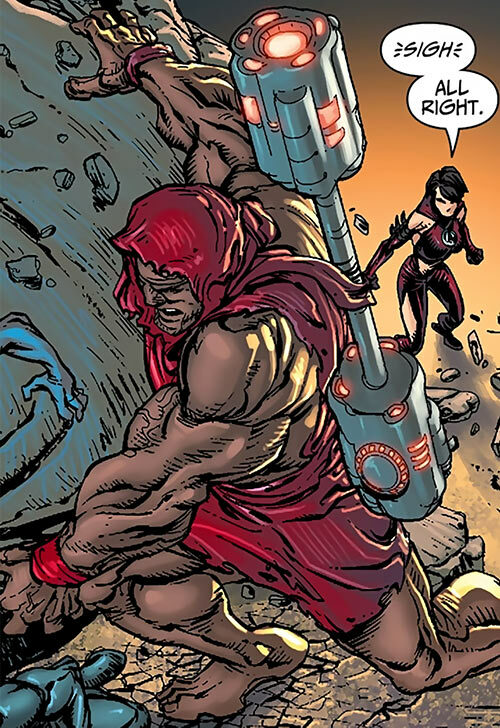 A minor super-mercenary with a strong Fourth World vibe, who’s allegedly a god. Seen in Gail Simone’s The Movement. Part of a convenient team of minor super-mercs. Aggressive urban vigilante with dangerous melee skills and an oversexed attitude. As of February of 2019, this profile received HD pictures, another round of polishing – and lurid, sticky M&M stats. It’s time for the first of our thrice-yearly calls for donation for 2019 ! As always, this call doubles as a summary of what’s been happening on writeups.org (and why) since the previous call. 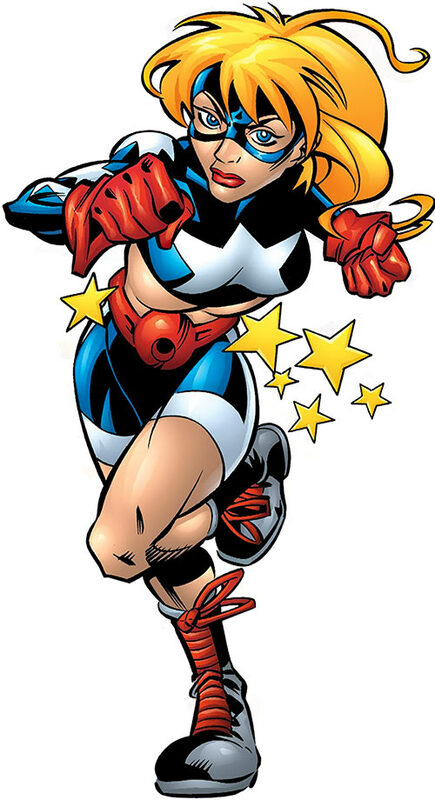 This is DC Comics’ Courtney Whitmore, the future Stargirl, during her early career as the Star-Spangled Kid. It’s a “Year One” sort of writeup. As of February of 2019, it has been polished a little bit more and received brazen, aggressive, irresponsible M&M stats. 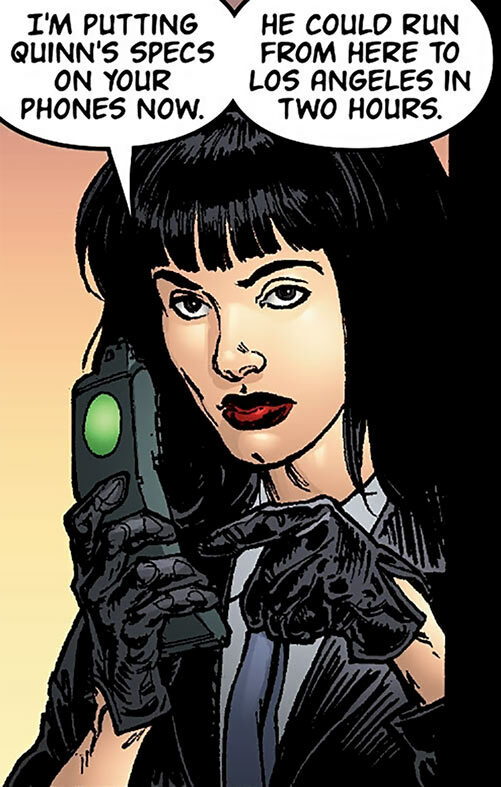 One of Miranda Zero’s specialists in Warren Ellis’ great comics series Global Frequency. His specialities seem to be intimidation and carnage. Разве это не мило ? 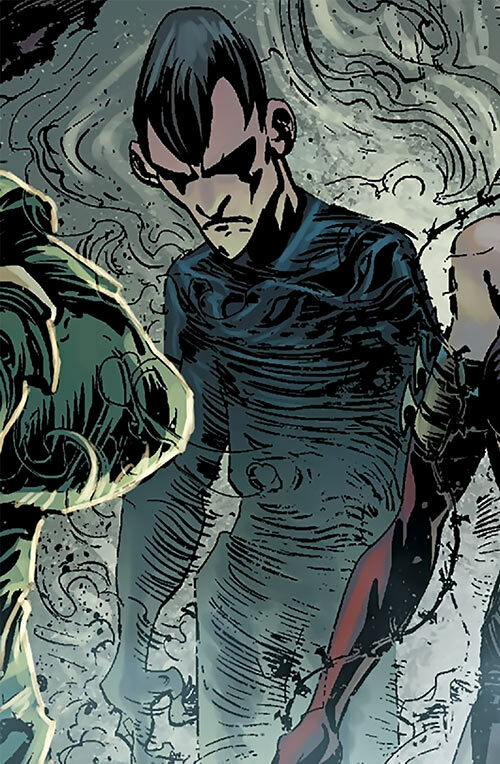 A member of the Graveyard Faction, a minor group of super-mercenaries in the DC Universe. They fought The Movement. Melee combat expert with some super-strength. 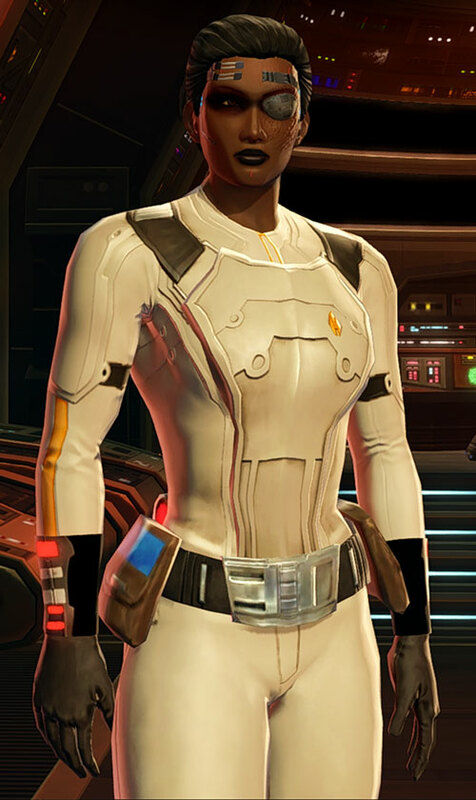 A sample, but atypical, Special Forces trooper of the Galactic Republic during Star Wars’s Old Republic era and from the SWTOR video game. Comes with historical context primers, particularly about the military. As of February of 2019, this profile was revised for style and concision, M&M-ified, and split in two to make certain it’s not too long to read in one sitting. This is the second half for our sample, fleshed out Old Republic Special Operations Trooper in what is now the Star Wars Legends continuity. With a link to part #1. This pair of profiles is also the one with the primer about the Old Republic era, useful for many of our Star Wars profiles. 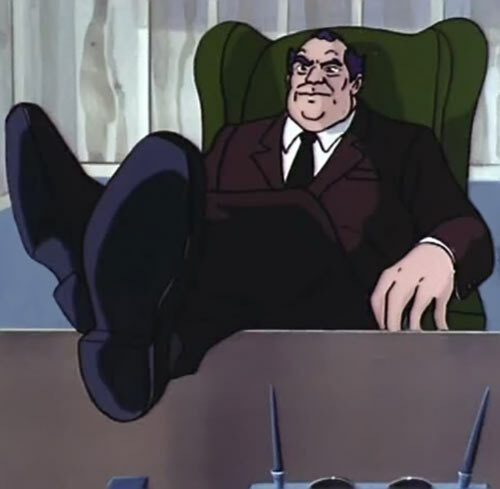 A corrupt energy tycoon and ally to the Decepticons. He appeared in the 1980s heydays of the Transformers cartoon. 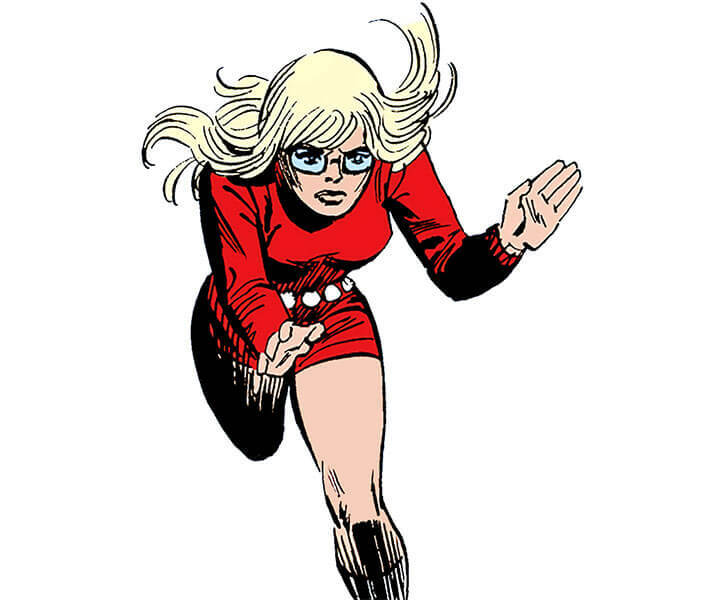 This is where our chronological series of profiles for Mockingbird (Dr. Barbara “Bobbi” Morse) starts. 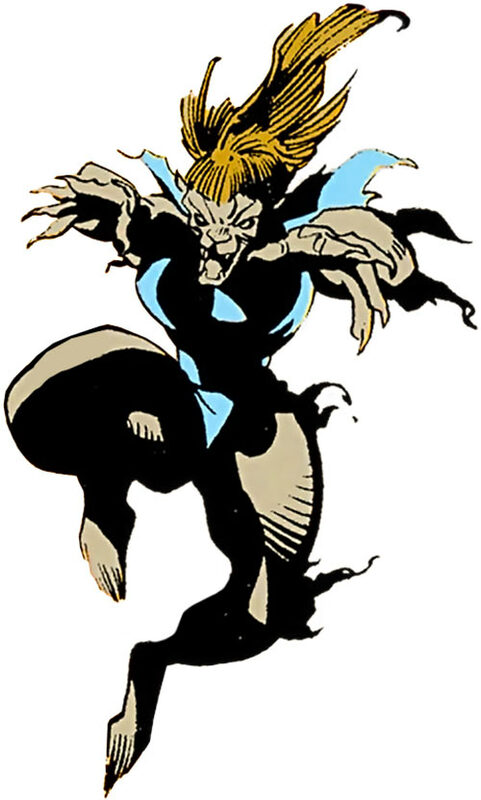 So, her early 1970s Ka-Zar (lord of the jungle !) material with the bright red rompers. At this point she’s not Mockingbird yet. 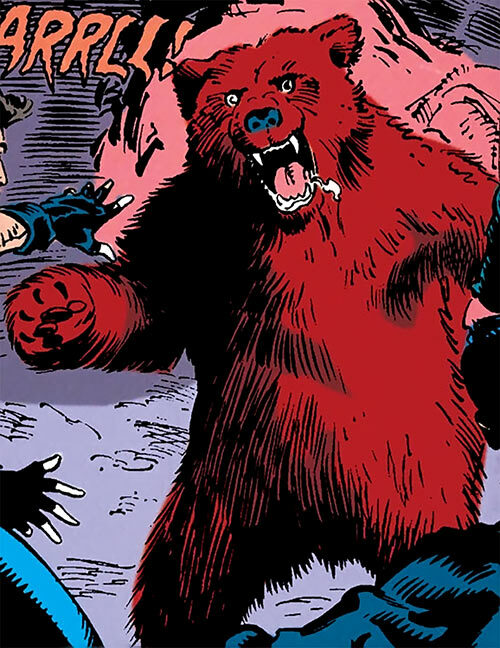 An obscure 1970s enemy of Ka-Zar… lord of the Hidden Jungle ! 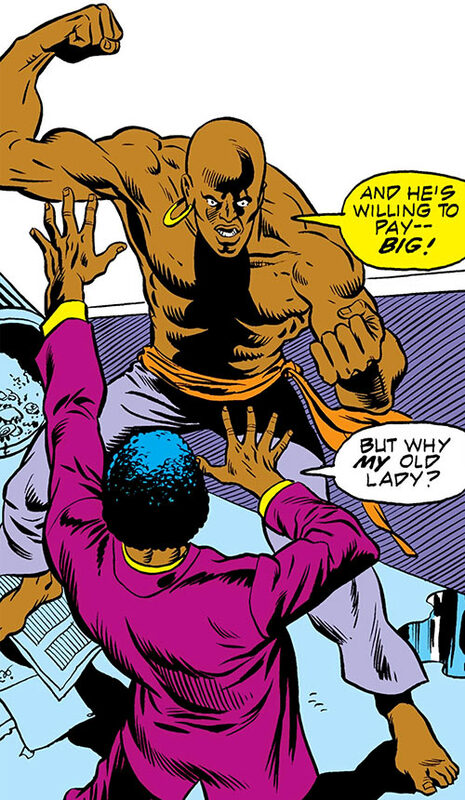 Also a robust martial artist with some A.I.M. access and Harlem mob contacts, which sounded useful. A particularly determined lady with a big shotgun, quick reflexes and on the Frequency. A bland minor bad guy who can bench a sort of napalm. But he’s part of a convenient group of low-powered mercenaries, and that’s useful. 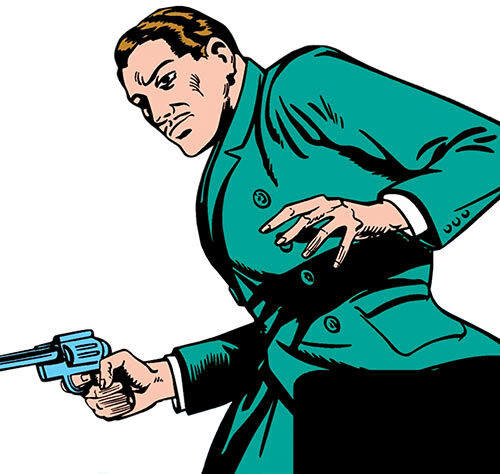 Obscure 1940 proto-Marvel super-hero. All-knowing and nigh-invincible defender of America. As of January of 2019, this profile received excellent M&M stats and was mindfully remastered. 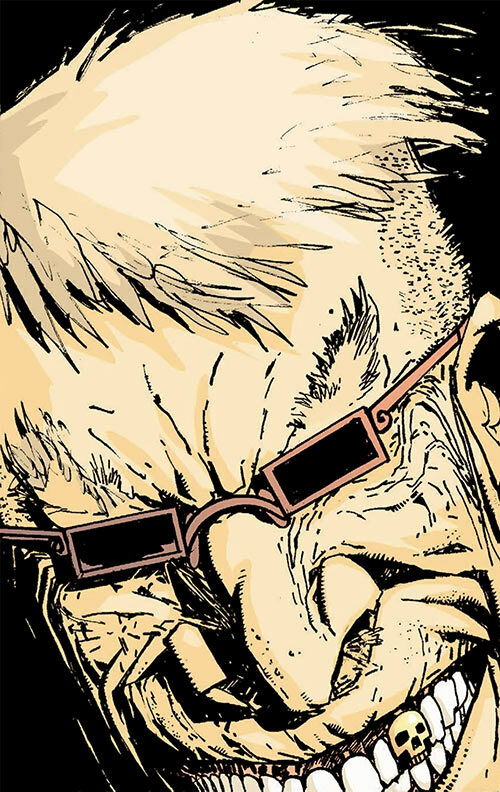 From Warren Ellis’ Global Frequency story “Big Wheel”, an elite ad-hoc commando tasked with an unenviable and desperate task. 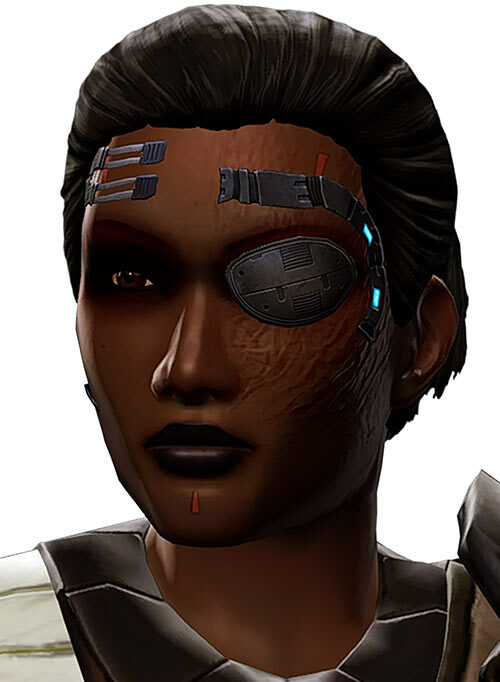 Neat example of high-end operatives with specialised skills and some near-future technology. The leader of the Graveyard Faction, a convenient quartet of generally low-powered super-mercenaries. Telekinetic control over barbed wire. 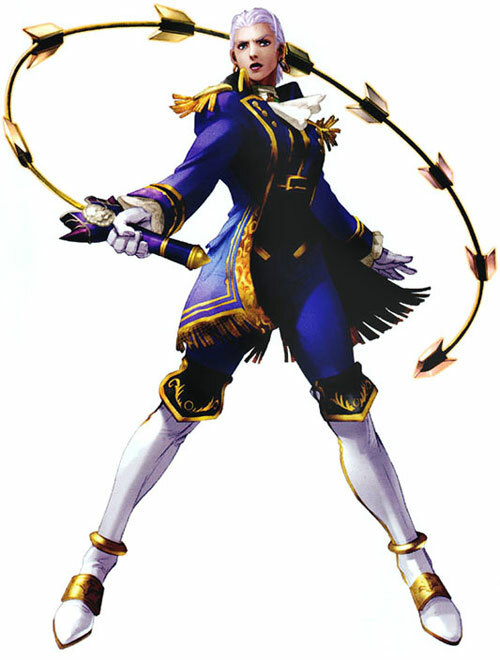 One of the most famous characters in the Soul Calibur fighting video games. Magical whip-sword, martial arts, alchemy. As of January of 2019, this profile was rewritten, updated, upgraded. Generally, we’ve made it more well-rounded. A made-up heroic fantasy character, inspired by minor Heretic/Hexen-like video game Ziggurat. Young legless alchemist with a thousand grudges, and a magical arsenal. As the song goes, odds are she won’t live to see tomorrow. A strange werebear, and a Russian special operative. Seen in Suicide Squad. As of January of 2019, this profile has been overhauled and got overbearing M&M stats. One of ’em video game guides we occasionally do during our breaks. Warframe has a reputation for being hard to learn and… yeah, it’s not unearned. So here’s a “what I wish I knew when I started” space guide. 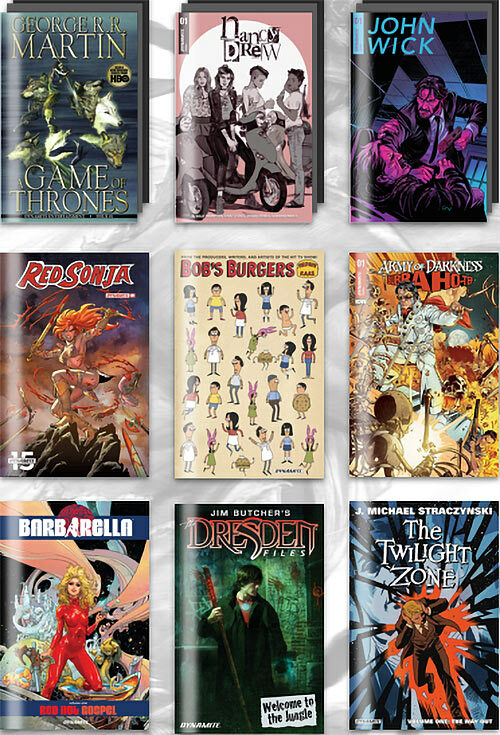 Humble Bundle is now offering a Dynamite Comics bundle of digital comics, starting at $1. It has many, many of the geeky things. Check the post for a partial list of stuff (because listing everything that’s in the bundle was too long). 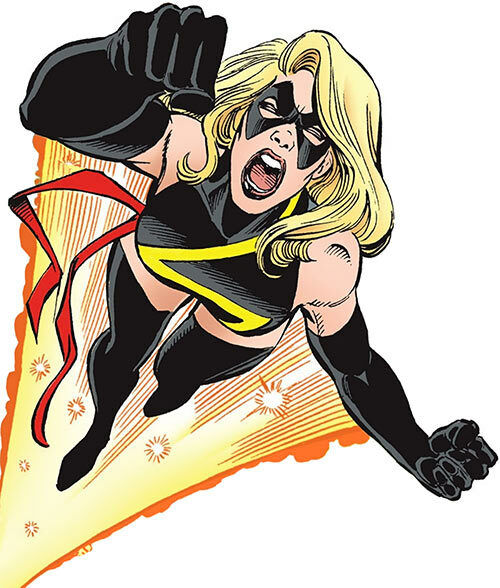 This continues our huge chronological series about Carol Danvers (aka Captain Marvel, aka Ms. Marvel). This covers her early Warbird career, from 1998 to 2000. As of February of 2019, this profile was entirely redone. 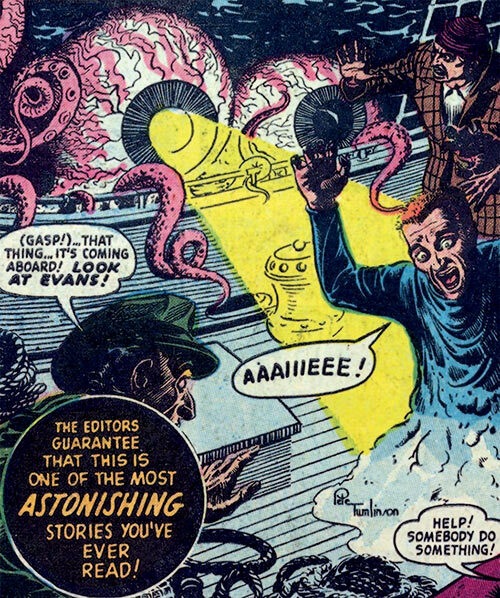 New airframe, new avionics, new engine, new nose emblem, etc..
Creepy undead tentacled maritime eye monsters seen in a 1954 Astonishing comic book, from Atlas Comics. This one is about using free Windows speech recognition software to input commands whilst playing video games. This is primarily useful for persons with low or diminished manual dexterity. As of January of 2019, wrote an addendum about using this in a shooter (namely Warframe). 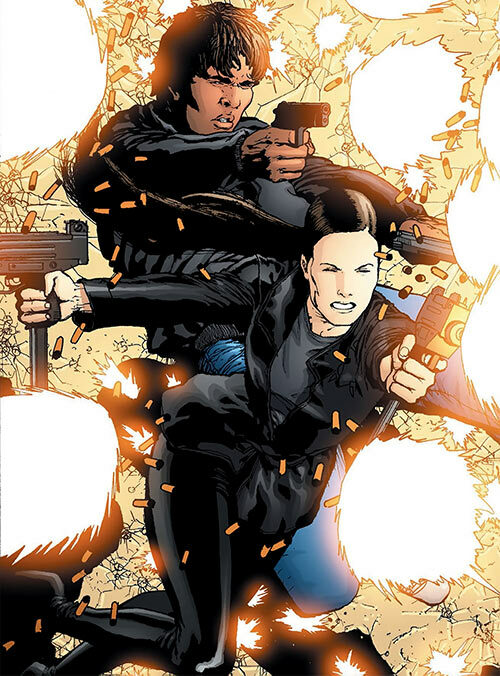 An ad-hoc pair of tactical operatives for the Global Frequency, from Warren Ellis’ most excellent comics. Gunpowder smell ! Muzzle flashes ! Romance ! Web consulting ! A visual guide to the Black Widow character profiles on writeups.org, since there’s now a fair few. 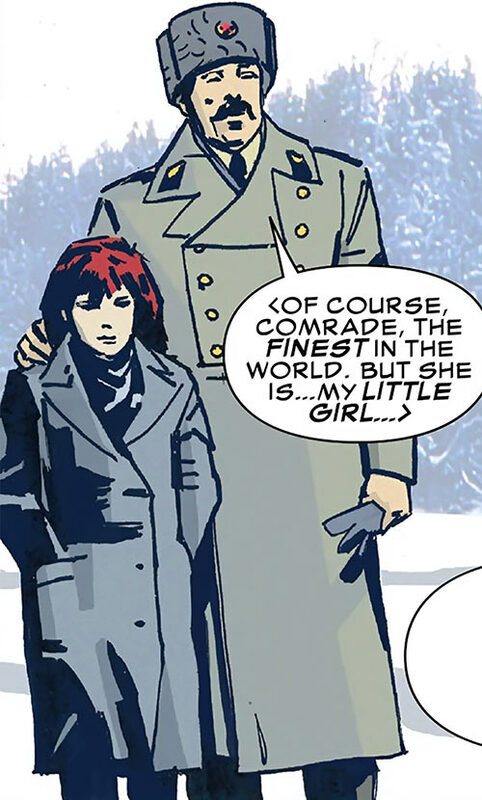 An unreasonably thorough explanation about the Black Widow (Natalia Romanova) from the origins to the end of the Great Patriotic War. Buckle up, it’s something of a ride. As of January of 2019, this profile has received yet more polishing, and was cleft due to length. 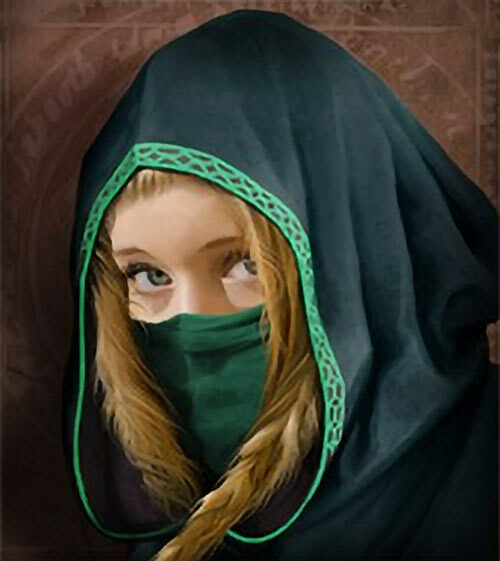 Part the second of our beautiful and deadly character profile for Natalia Romanova. 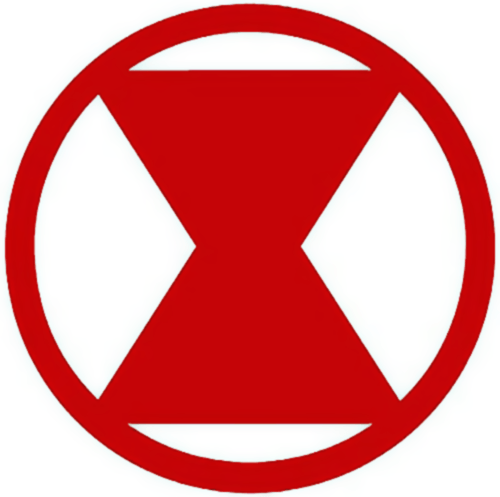 This one covers 1946-1965, but in practice it mostly corresponds to her earliest Marvel appearances as a femme fatale after Tony Stark’s industrial assets. Or at least, what he insists are industrial assets. 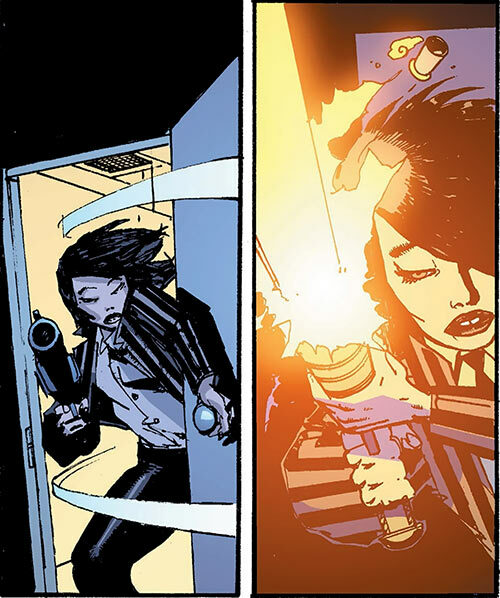 The Hell’s Belles are a convenient mercenary quartet with minor powers. They fought X-Factor that one time. Shrew left the team, though. As of January of 2019, this profile has been overhauled and received furry M&M stats. 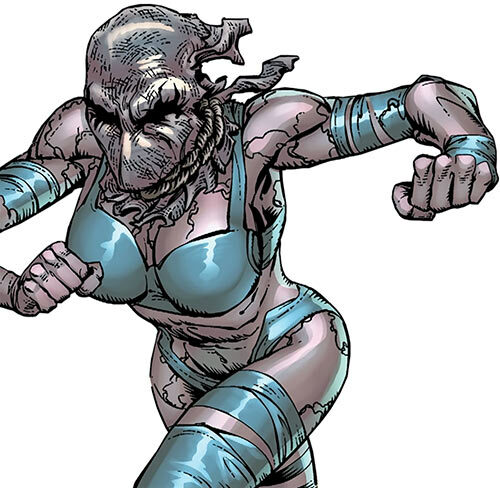 Which concludes the upgrade for the Hell’s Belles. Happy new year if applicable ! As with every year, we are skipping one update – the first third of January one. So y’all enjoy any relevant celebrations or lack thereof.